Energos Service India Pvt Ltd. is currently offering its services in Delhi-NCR region. We provide our clients a safe, dependable and comfortable alternative to driving when they would rather not. Energos Service India Pvt Ltd. main aim is to supply professional well trained bus drivers to private and official driver as per requirements of people. Based on a extensive study and understanding of the locale logistic services, we provide skilled, competent and qualified drivers into the right work setting is a hallmark of our presence and reputation in the market place at your service. Well trained bus drivers are available for national approach. We provide the services of well-trained chauffeurs who have mastered the art of safely wading through the ocean of vehicles in Delhi/NCR traffic. 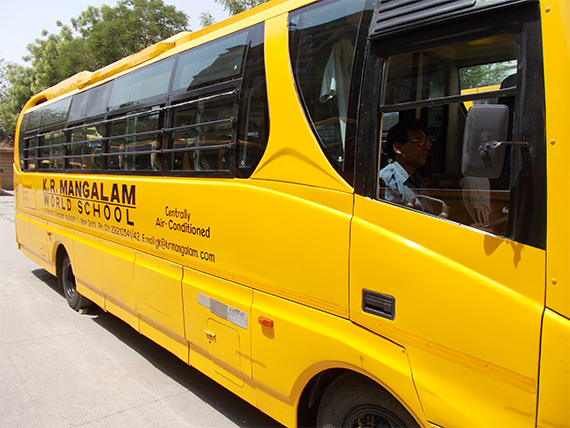 Our motto is to provide you with best quality trained and experienced bus drivers. We safely transport over 5000 pupils and students to schools each day. Our excellent Coach hire and group holiday services are available to schools and colleges at reduced rates. For safety we have full risk assessment available on request and for peace of mind, all our driving staff are character referenced and have undergone advanced Police Verification for any Criminal Record. Bus driver operate various types of buses to transport students, commuters or tourists between locations. Drivers typically work without direct supervision and are fully responsible for the safety and satisfaction of their passengers. While there are no formal education requirements for becoming a bus driver, candidates must meet state and federal regulations. A prospective bus driver must earn a commercial driver's license, or CDL, which entails passing a written exam and bus driving test. Drivers must also obtain a passenger endorsement, which allows them to transport people. More specific requirements are often required for school bus drivers. These requirements vary depending on the state issuing the license. Some states require school bus drivers to obtain a school bus endorsement, submit to a criminal background check and pass a medical examination. States may also require school bus drivers to receive extra training in areas such as mountain driving or transporting special needs children. Assist students on and off buses. Ensure that all student passengers, including those in wheel chairs and braces, are properly secured in their assigned seats or wheelchair slot. Assist in controlling student behavior. Tend to the special needs and conditions of each student. Learn bus routes, schedules, and pickup points. Assist substitute drivers with directions. Keep abreast of route and bus stop changes and student day care arrangements. 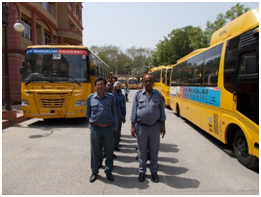 Assist drivers in conducting bus evacuation drills. Assist drivers in maintaining a clean bus interior.